Click the photo to see the boards with the names of all the donors. As 2017 wound down, we threw ourselves into preparing materials. 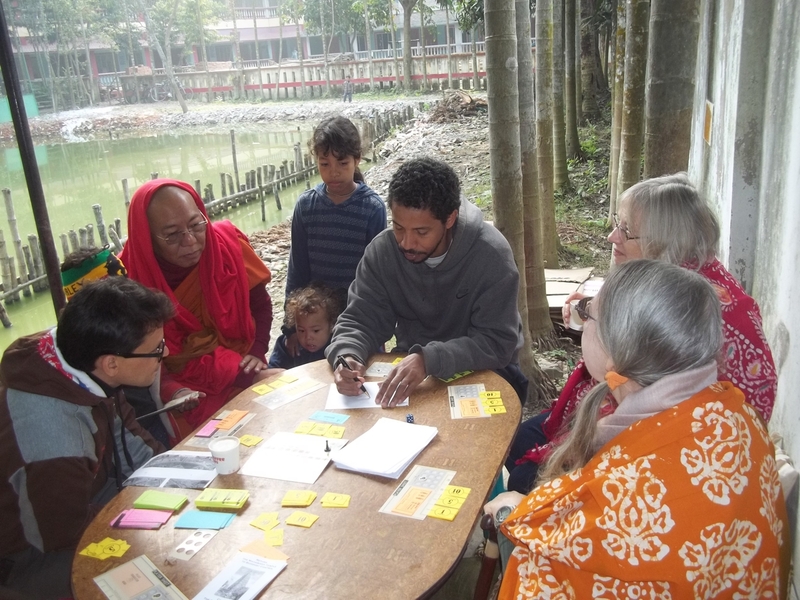 We had to polish Step by Step, rewrite exercises for some of the stories, organize the Activities and Logic Exercises, and prepare copies of the games (Buddhist Go Fish, Word Rummy, two kinds of Concentration, and two kinds of Karuta--Dhammapada and environmental). Most of the printing would be done at Bodhisukha, so we just sent the files, but printing the games is a bit complicated. We print them on heavy colored paper and cut them to card size. Unfortunately, our Samsung printer, which can accomplish some amazing feats of printing (like reformatting an ordinary file into a booklet and printing a small page as a sixteen page poster), after slowly printing about two-thirds of the games, baulked at the heavy paper and, with a gasp, completely stopped. Fortunately, we still had ten days left on our warranty, so we quickly trundled it to Paperline, the local stationery shop where, last August, we watched the Perahera, and the manager sent it to Colombo to be repaired at no cost. We were able to complete the rest of our printing with the small color printer, even though it is capable of only manual duplex. A few days before we left for Kolkata, we were shopping Peradeniya Road, the main thoroughfare between Kandy and Peradeniya. Ken went into the shop, and Visakha stayed in the three-wheeler with Ashoka. She noticed that a little tiger kitten tried to follow Ken into the store. A clerk caught the kitten and carried it next door. 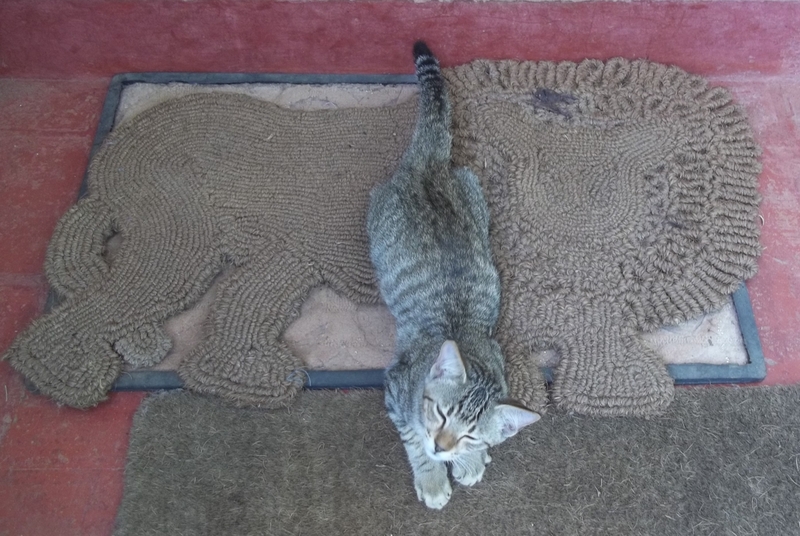 Undeterred, the kitty scurried back to the same door. Visakha asked Ashoka to find out who the kitten belonged to. Two clerks informed him that the kitten didn't belong to anybody. One of them had seen a car dump him out that morning. As soon as Visakha heard that, she asked Ashoka to get an empty box and to catch the kitten. Shopping finished, we headed home with the Puss in Box. We wondered how Nezumi would react. Stray cats usually fight when someone tries to pick them up, but this kitten begged to be handled. Obviously, he (no longer "it") had not been born stray. It was also obvious that he was hungry. We offered him some food, and he devoured it almost before it hit the dish. His meowing could not be mistaken. It clearly meant "More, please." We decided to keep him in the outdoor kitchen until he and Nezumi become friends. Remembering a similar kitten from his youth, Ken named him Leo. A few days later, however, when Lily took him (in the cat carrier) to the vet to get his shots, the doctor issued a kitty passport, but he told Lily that the little beast was too small for him to determine whether "it" was male or female! Leo? Leona? We would find out when we got back from India. Click the photo to see more photos of the book donation. 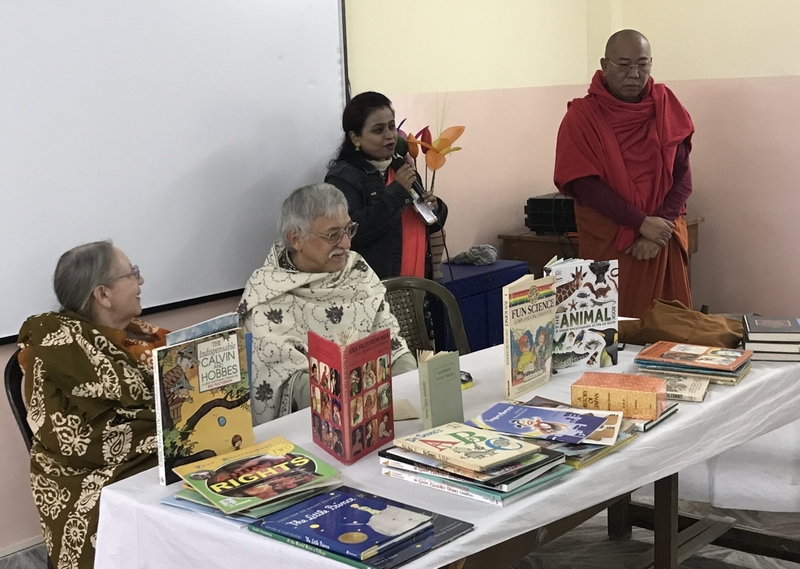 Hearing from Dr. Nandobatha that Bodhisukha School was expanding its library in compliance with CBSE requirements, we searched through our library upstairs for suitable books. We found about fifteen books, including The Little Prince, which both of us had enjoyed as children, and the superb collection of Folk Tales from Asia for Children Everywhere, published by UNESCO in 1975. There were also Fairy Tales from Japan, a 3-volume Folk Tales of Ceylon, and an encyclopedia of animals we had bought in Bangkok. When Mike heard about this, he went through his books and selected several of his childhood favorites to add. Patricia also added some of hers, as well. Fortunately, our flight was directly from Colombo to Kolkata so we had the Sri Lankan Airlines' 30-kilo allowance plus the AmEx extra 10 kg the whole way. With the carry-on suitcase, out computer backpack, a briefcase, and two handbags, we must have carried 100 kilos without any overweight charge! We wondered what clothes to take. 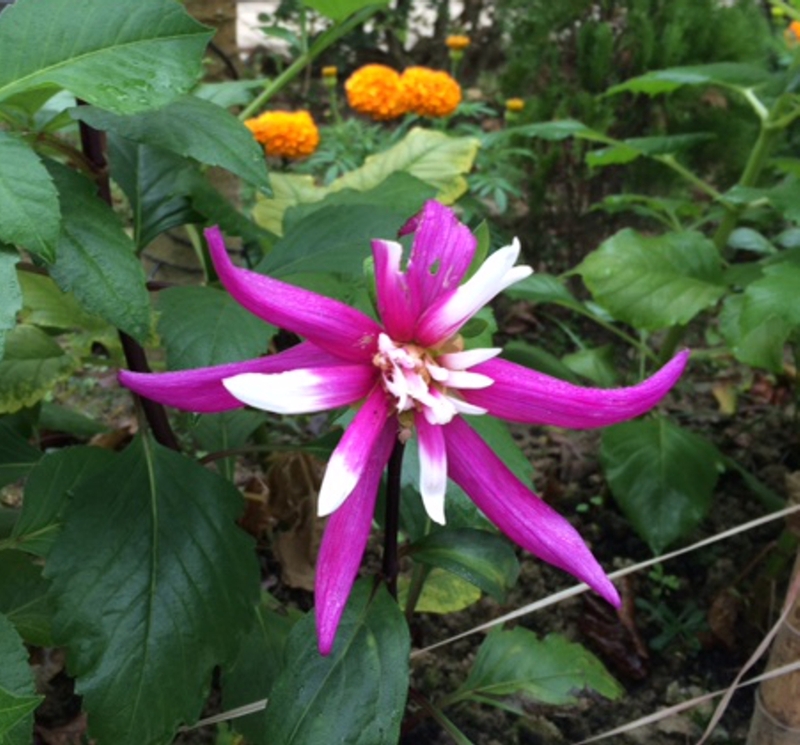 January 1983 had been freezing, but Rosalie told us that, in recent years, Bengal winters had become very mild. We asked Rajiv about turtlenecks and socks we had left after pilgrimages, and he assured us that they were still there. Thus, we packed only a few clothes, including one of Visakha's northern Thai jackets, and hoped for the best. We'd depend on Ganesh, the dobhi-wallah, to keep us presentable. Having to be at the airport very early, we opted for a night in Negombo, which meant that we weren't tired when Rajiv and Ven. Ariyawantha met us at Bose International, just before noon. Ven. 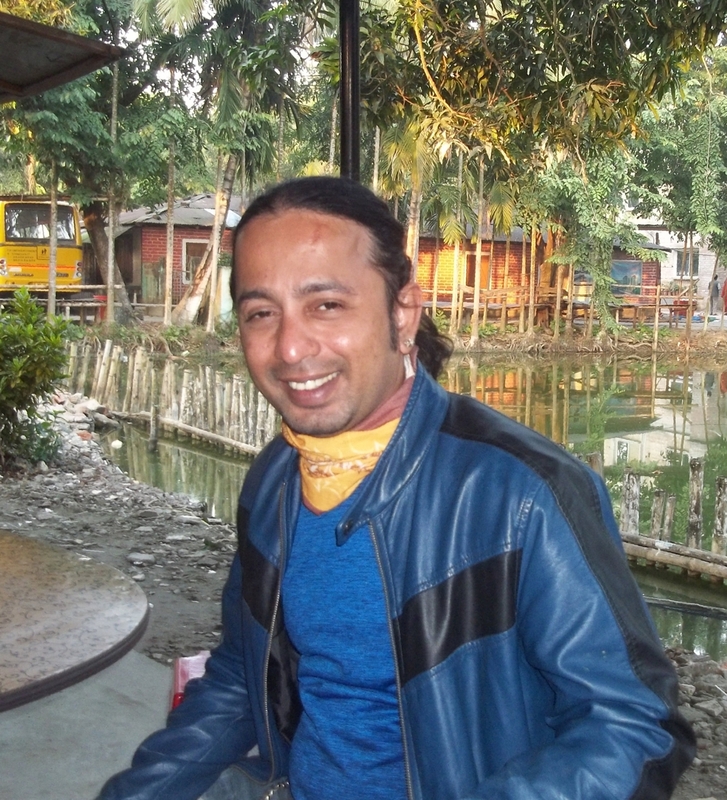 Ariyawantha was leaving shortly thereafter for Assam where a refugee crisis appeared to be brewing. We were able to give him a donation for that, but, unfortunately, we had no chance to visit with him. Of course, we felt sad not to be welcomed again by a sweet, hearty voice shouting, "Grandma! Hello Grandma! Grandpa! Here!" 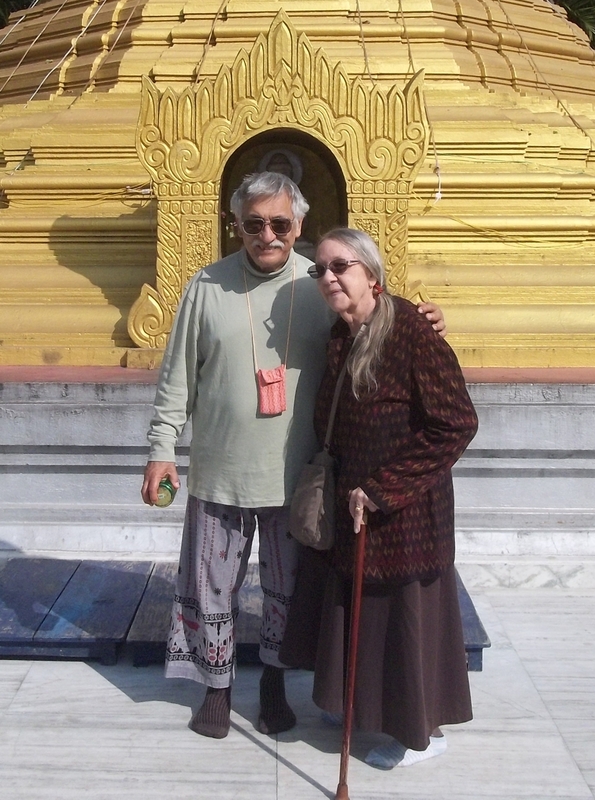 Visakha was away in Burma with Shila. 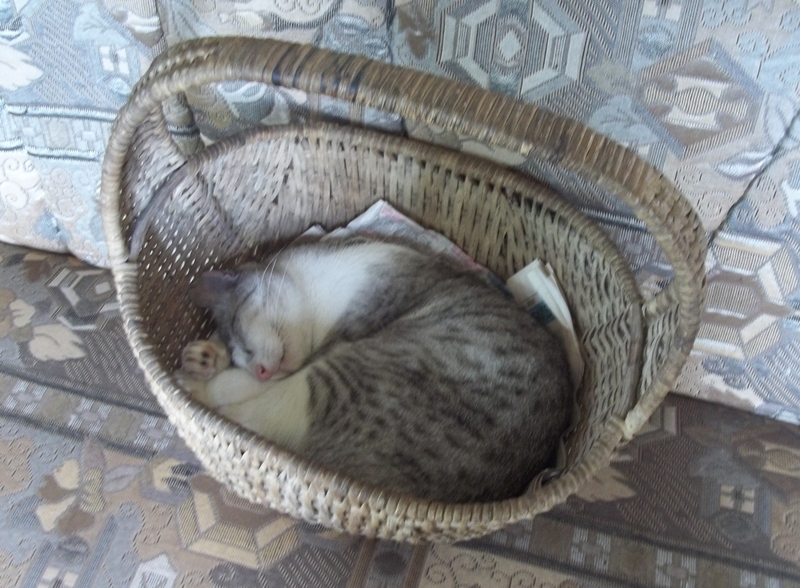 Not spending time with her was our only regret during the time in India. It felt so good to be back in Kolkata! From the airport, we took a little detour to Haldiram's to get some of our favorite sweets and munches, and then just settled back to enjoy the ride to Barasat, with its crazy, mixed, but functioning, traffic--so different from Sri Lanka. Accommodations at Bodhisukha are very posh now. Although we missed our own dingy little room, mainly for all the memories it contained--Margot and other friends, boys whom we have watched grow up, the lovely mango tree outside the window, and the pagoda being so near--we certainly appreciated the clean and big room in the new building, right across from Didi's kitchen. Having screened windows, an attached bathroom with a brand new water heater, and a clothes rack was very, very nice. Across the hall was a work/dining room, which was soon outfitted with high-speed internet and a printer. We were in business! 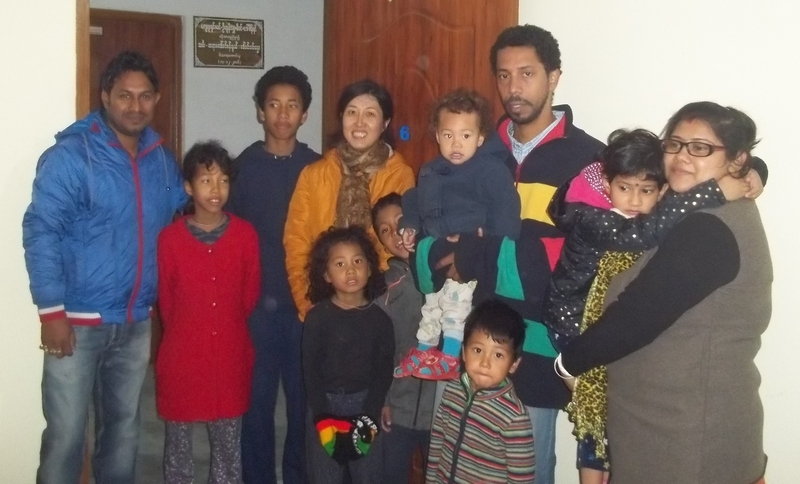 We were happy to meet Che, Naoko, and the family again. Tamon, the eldest son, is studying in Japan, but the others are all at Bodhisukha and growing up wonderfully. They spent many hours reading the books we had taken, and they were thrilled with the origami books we had found in our library for them. (Thank you, Paw Oo!) The older ones joined the classes and took part in all the activities. Umi was terrific in the dialogues--a real actress! They all took the homework seriously, and, several times a day, Gaku knocked on our door, either bringing his Step by Step assignment or asking whether we had corrected it yet. 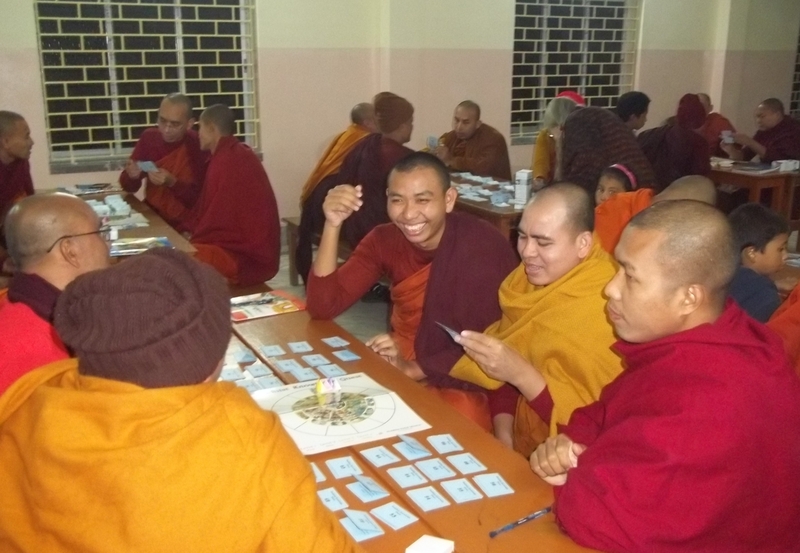 Every evening, they joined the monks, playing all the games and helping the monks with the English of Buddhist Knowledge Quest. We were delighted to have Linda join us for her first Indian intensive. Her flights from Chicago took more than 40 hours, but, as a seasoned traveler, she arrived ready to work! She certainly was just the right teacher at the right time! 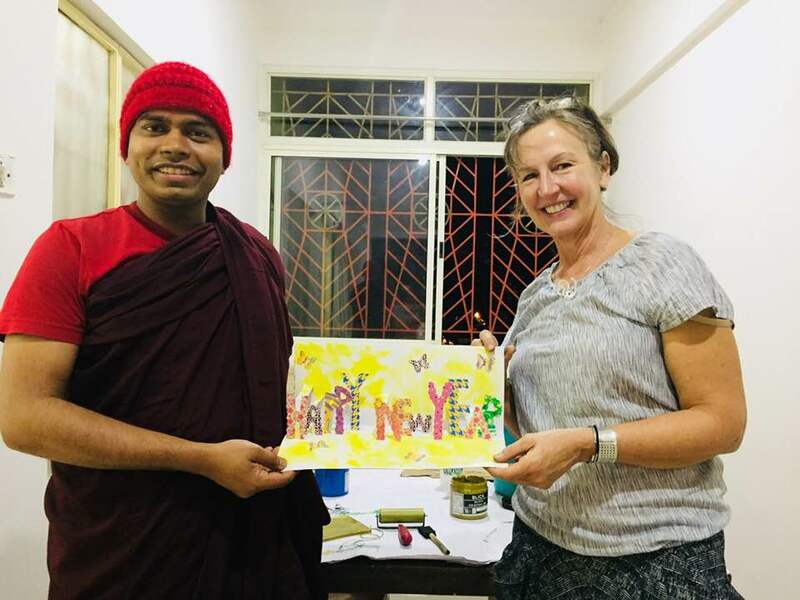 She knew she would enjoy teaching monks because of her experience in Kandy, but she didn't realize that we'd also be calling upon her vast and varied experience in teacher training for the Bengali teachers at Bodhisukha School. Ven. NandoBatha asked for five sessions with the teachers. We put our heads together and came up with quite a successful program. We began with "Plastic News," leading the teachers through the exercise exactly as we had done three times in Sri Lanka. Linda did a masterful job of follow-up, helping the teachers understand how it worked, why it worked, and how they could adapt such a hands-on activity to their own classes. She also reviewed the CBSE curriculum and helped the teachers use some of the graphs, tables, and graphics to enhance their daily lessons. In later sessions, we introduced some of the other activities and puzzles we have used in classes here in Kandy, encouraging them to adapt them to their own fields of instruction. They played Environment Karuta, and What's in the Box, a twenty-questions game which they thoroughly enjoyed. Click the photo to see photos of the teachers in class. Clilck the photo to see more photos of the Bharhut Stupa exercise. 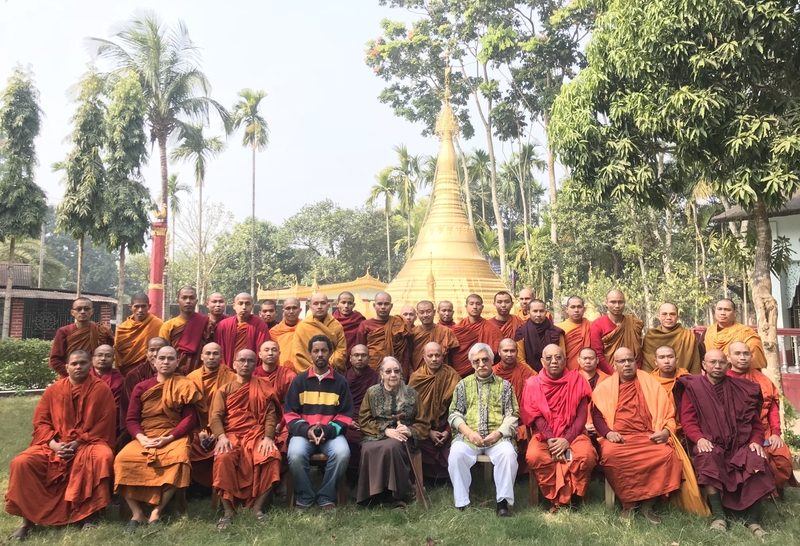 For the monks, we scheduled two classes and an evening session each day, Monday to Friday. In addition, Dr. NandoBatha taught them English grammar every morning right after breakfast. Our main text was Merit, but for the second week, rather than go straight through the book, we each chose the lessons we felt most important and interesting. Che chose the family tree and the exercise of the seven weeks the Buddha spent at BuddhaGaya, using the beautiful Burmese scroll. Linda chose Howrah Station with work on reading big numbers and the cooking lesson, which is a kind of logic exercise. We were happy to guide the students through the Wheel of Life and Dependent Origination and to climb Vulture Peak, where Caroline meets a (?). This lesson also included meditation on loving-kindness. In preparation for our visit to the Indian Museum, the students studied photos of the carvings from the Bharhut Stupa railings and matched them with the stories they depict. With all of the teachers, the students enjoyed various puzzles and exercises in logic and critical thinking. 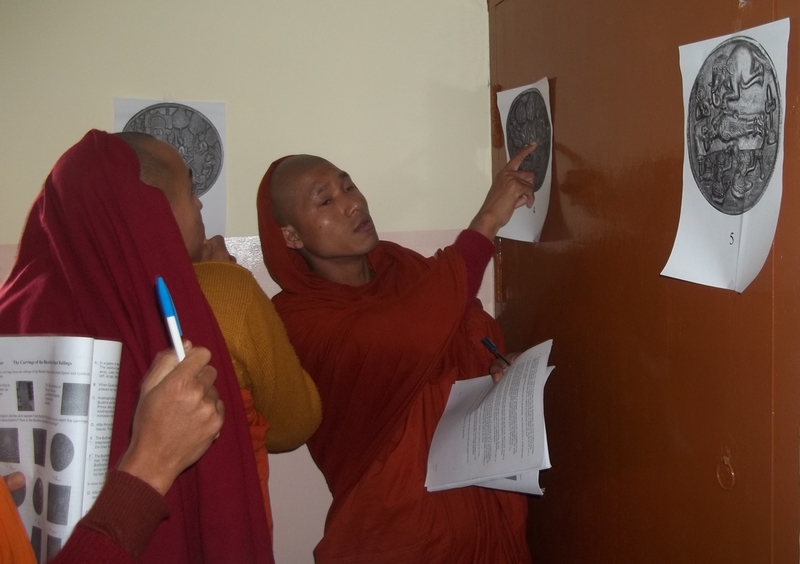 Click the photo to see more photos of the students playing Buddhist Knowledge Quest. 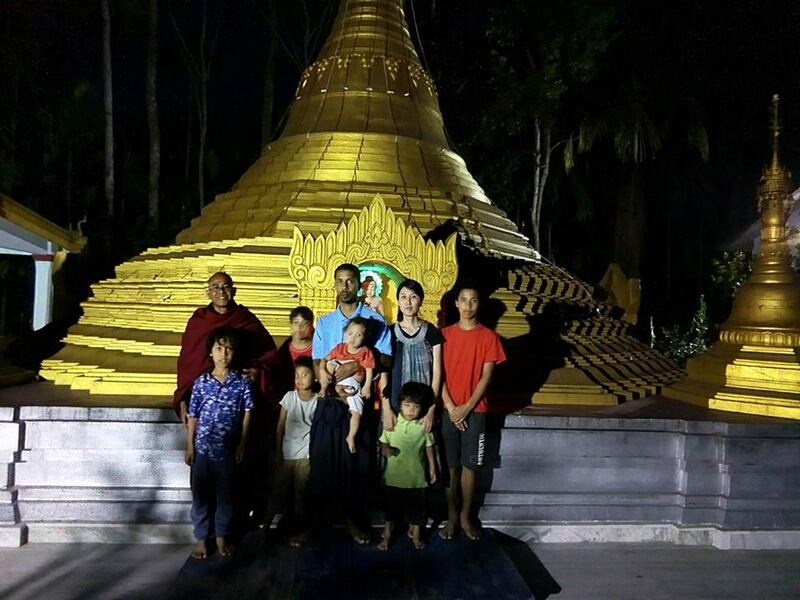 Evening sessions included the Buddhist Knowledge Quest tournament, as well as other games and the movie Holes, which is great entertainment and can be interpreted as the effects of kamma lasting through generations. "Excuse me?" Luckily for all of us, Ven. 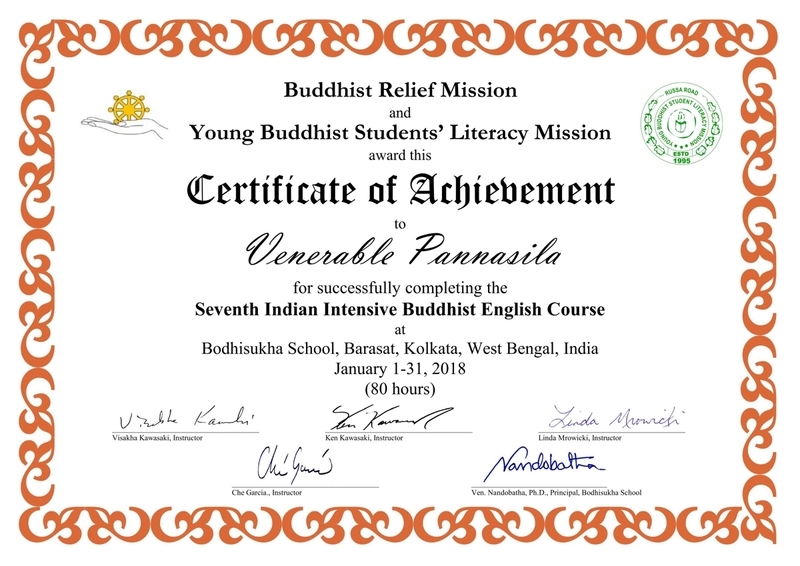 Pannasila was able to join the intensive. 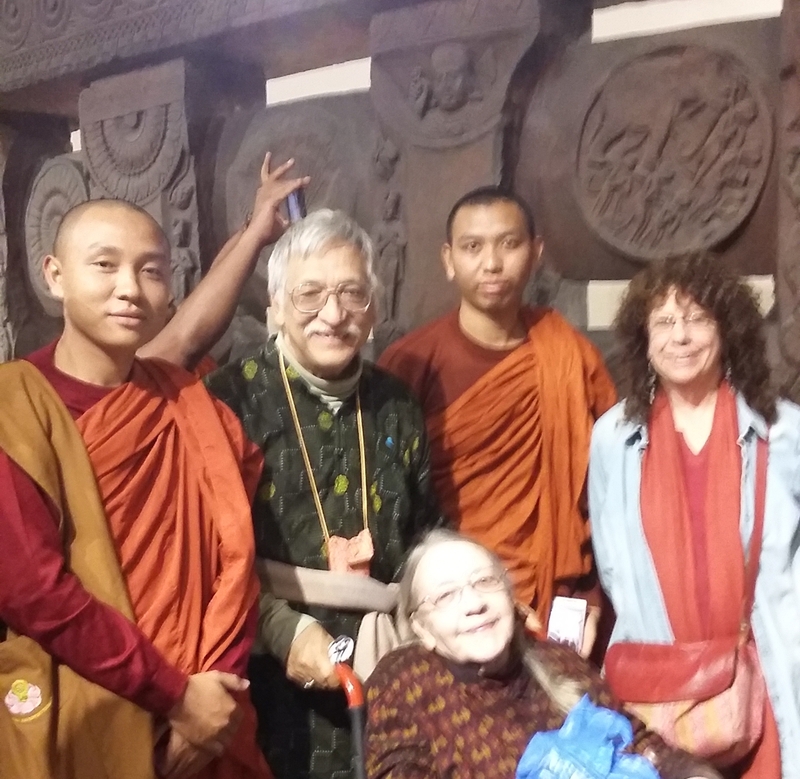 He'd spent the rains retreat in Burma, with help and recommendations from Dr. Nandobatha. We were especially pleased to have his Indian perspective in class. Since Ven. Pannasila had been Secretary of the MahaBodhi Temple Management Committee for two years, his insights enhanced Che's lesson on returning Mahabodhi Vihara to Buddhist control. He and Che encouraged the students to translate the flier into Burmese and to become involved in the movement. We have often praised the game "Coopoly," the exact opposite of Monopoly, engendering cooperation rather than competition. Linda brought a set from the States, and we played it with her, Ven. Nandobatha, Mr. Das (the school manager), and Che at the coffee shop. Those last three players are eager to introduce it to the rest of the Bodhisukha teaching and administrative staff. It's great fun with a purpose! Click the photo to see more photos of the coffee shop. Did we say coffee shop? 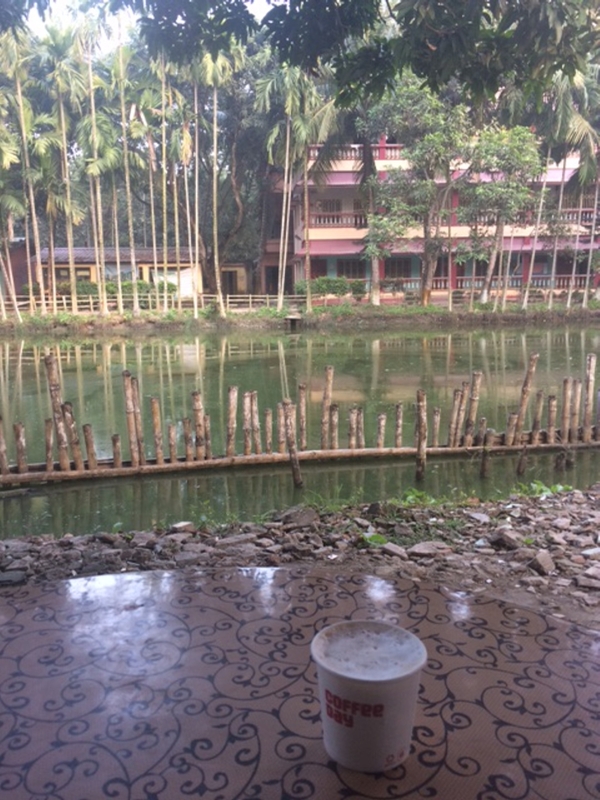 That open-air haven beside the tank, presided over by Satha from Tripura, not only serves the best coffee in Kolkata, but provides the ideal atmosphere for serious discussion and meaningful contemplation. We spent many delightful afternoons with Linda, Ven. 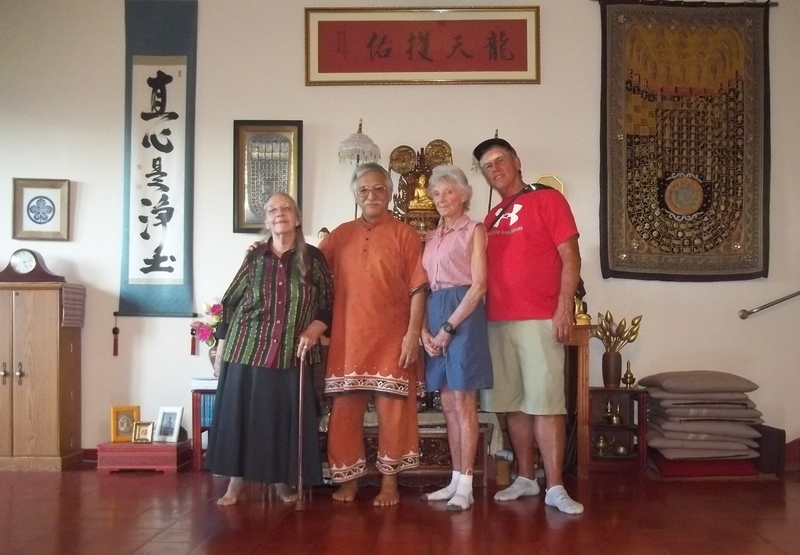 Pannasila, Rajiv, Che, Dr. Nandobatha, and an engaging German couple staying at a nearby ashram who have spent 40 years in the region. The coffee shop is also the perfect place for viewing the pagoda and watching the birds--especially the brilliant flashes of blue-green as the resident kingfisher dips and dives for lunch. 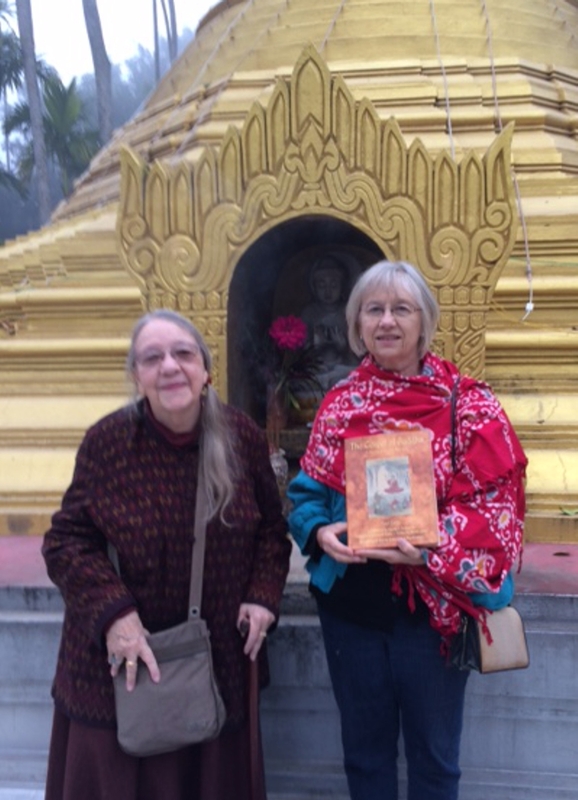 Every morning, before breakfast, Linda and the two of us offered incense, circumambulated the pagoda, taking refuge and the precepts and meditating. Mong, a young man from Tripura, served as our personal butler the entire time. Everyday, he promptly brought our breakfast, lunch, and tea, as well as Linda's evening meal. He usually stood quietly beside the table, ready to respond to our slightest whim. We were much spoiled! Our excursion to the Indian Museum was wonderful. We were proud of our students as they "read" and identified the stories carved into the Bharhut railings. As we wandered through the gallery, the monks used a lot of English to explain what they were seeing, and, together, we identified (We think!) a few familiar stories in additional carvings that we had never noticed before. That was exciting! Rosalie admitted that she had not visited the museum for many years, so she joined us for about one hour. She had just spent three months in Kandy, establishing a branch of her program "Empower the Children." She quickly introduced herself to several special educational institutions and, as always, taught her heart out! 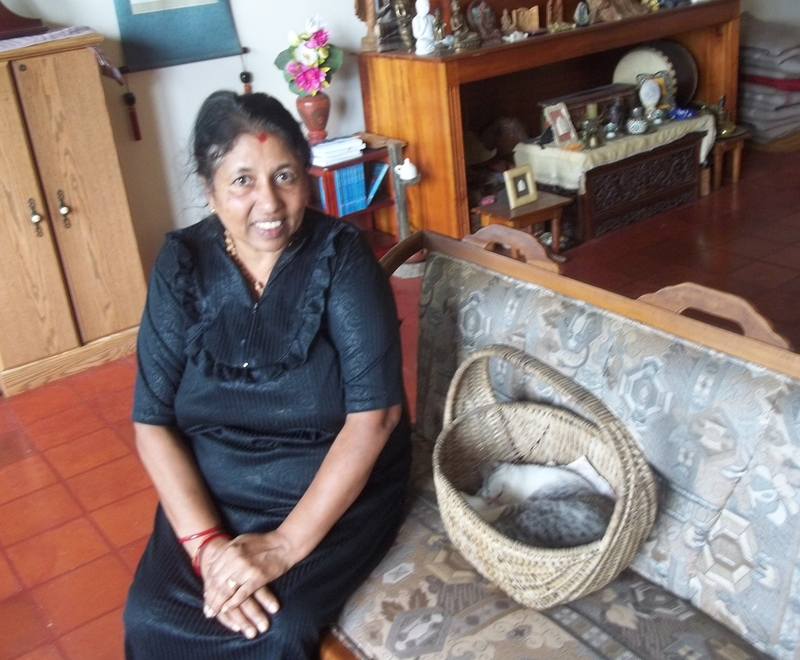 She plans to spend three months every year in Kandy. In addition, she arranged for her cousin Linda and a friend Sherry to be invited by the University of Peradeniya to come as consultants for creating policy guidelines for students with special needs. The university was so impressed by their report that they accepted it in its totality and have begun its implementation. Wow! 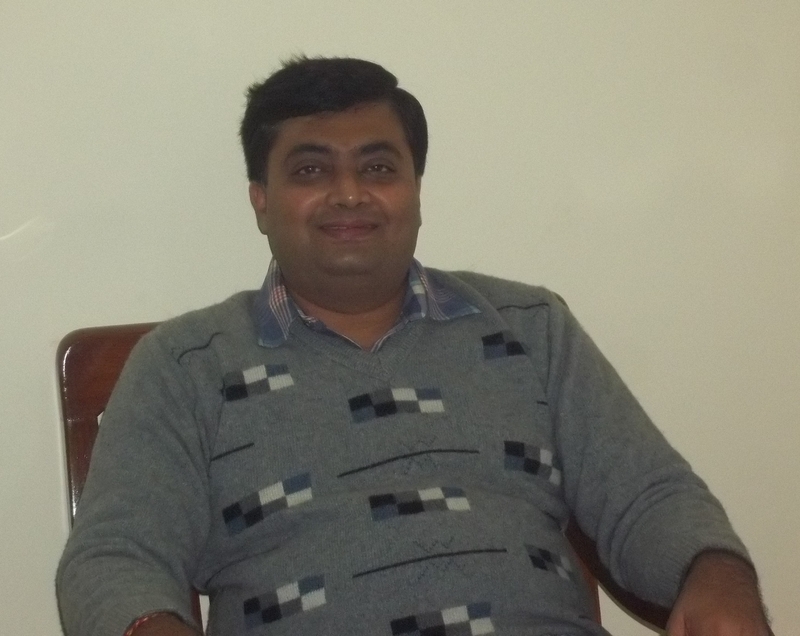 Although he was busy with his own work, Rajiv managed to spend some quality time with us. We share so many interests and concerns with him, it was important to get his take on many things. He's an astute observer of politics, community development, and social affairs, both Burmese and Indian. We respect his knowledge and insight, as well as his honesty. Shortly after we arrived, his friend and mentor, a Burmese poet and democracy activist, died of cancer. As Rajiv told us how this man had influenced him, we encouraged him to begin recording his own experiences--growing up in Rangoon, escaping to the border, working with other Burmese dissidents in Thailand, and finally settling in the Burma Colony with his late aunt and rediscovering his Indian family. We hope Rajiv's writing will serve as a record and tribute to those who sacrificed so much, only to be dismayed and disgusted by Burma's fascist and genocidal present. 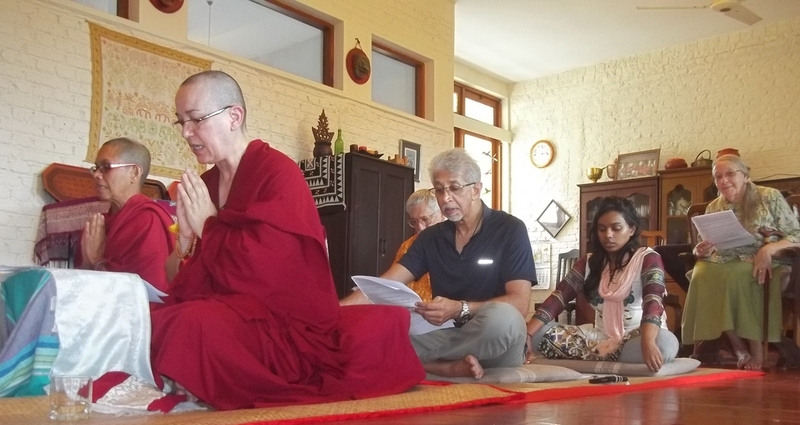 The last Sunday, the Jayawardanas from the MahaBodhi Book Agency came to visit us at Bodhisukha. 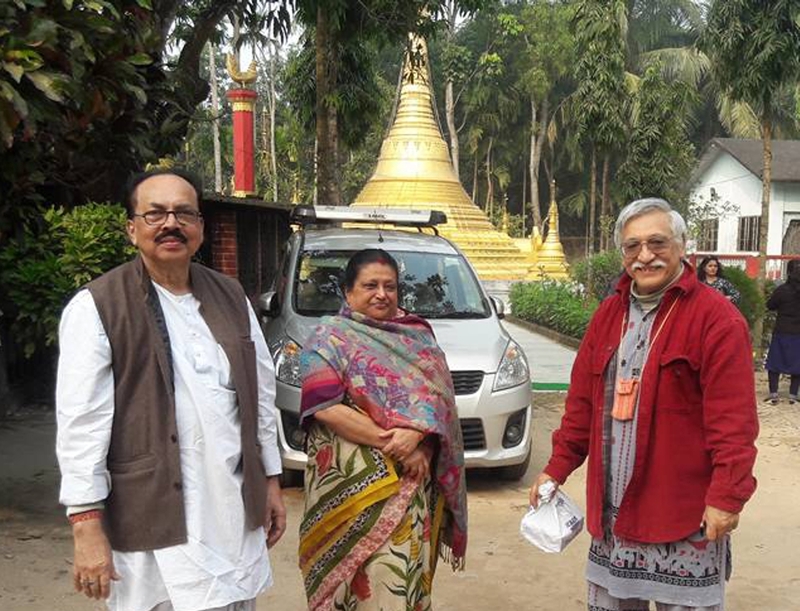 We first met when we visited the MahaBodhi Society in Calcutta (now Kolkata) in 1979. They took great care of Visakha when she came down with that undiagnosed viral fever in 1985. 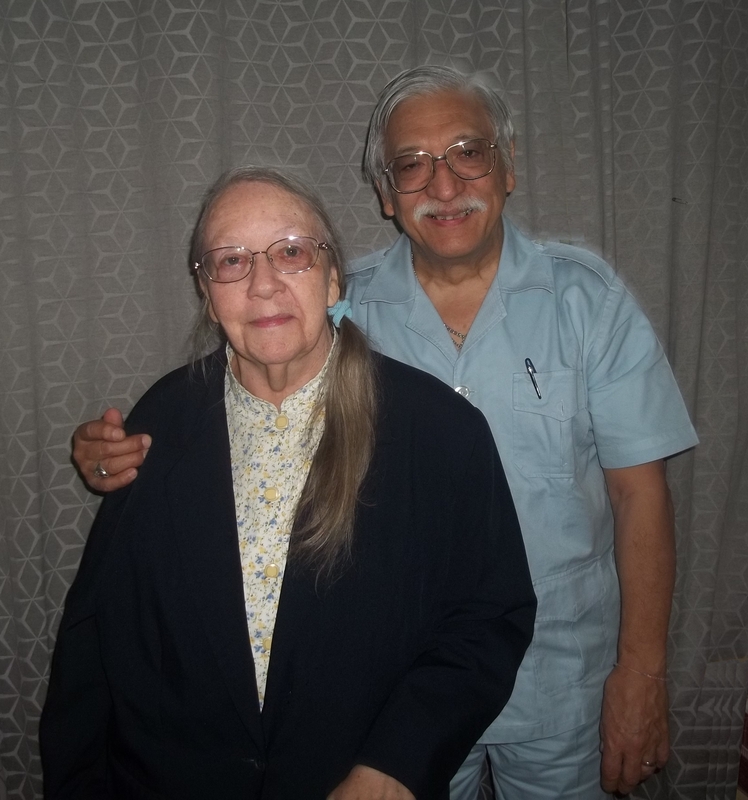 Mrs. Jayawardana was in the hospital for a few days when we first arrived in December, but she has recovered, and rewe were very pleased that they were able to come to Barasat. We are discussing with them the publishing of A Pilgrim's Companion, so that it will be available in bookstores in India, particularly in BuddhaGaya, where it should be a bestseller. 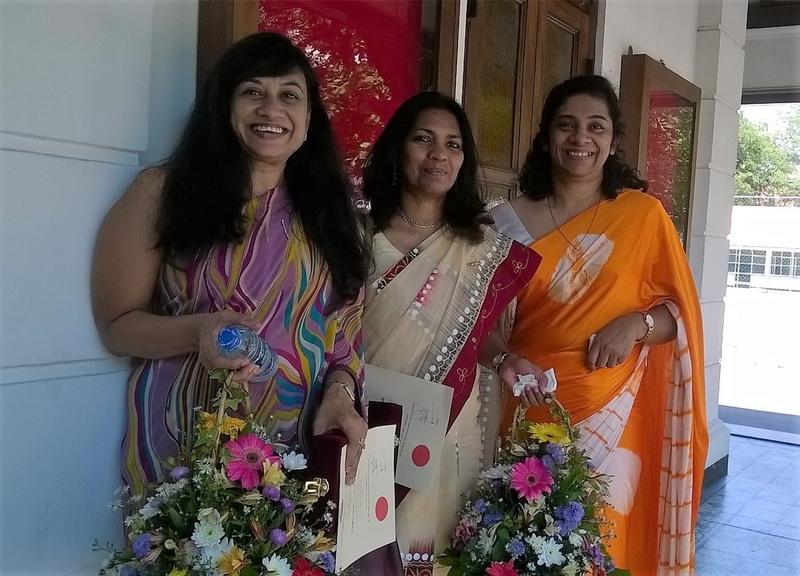 Dushy (center) is wearing one of the saris we had bought on a previous trip. After our classes were over and a formal photo taken, we went shopping in Barasat. Rajiv was busy out of town, so Abhijit took time from his busy schedule to guide us, and Naoko and Enzo, her and Che's youngest, accompanied us. We had a long list of gifts, and, since this would be our only chance, we unhesitatingly hopped from shop to shop, hitting all of our favorites. Bengal textiles--saris, salwars, and shirts--are beautiful! As we entered the salwar shop, the electricity suddenly died, and we were left in the dark. We couldn't wait for it to be restored (Heaven knows when that might be! ), so we had to choose the colors and styles by cell phone torch. What an experience! 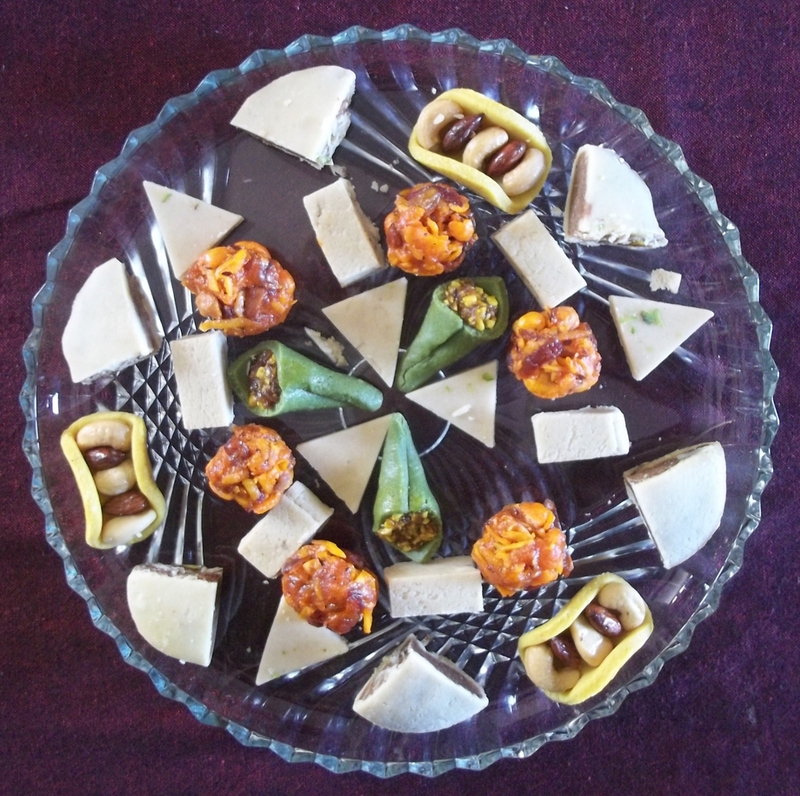 We had planned to make another run to Haldiram's on the way to the airport, but Abhijit introduced us to a local sweet shop which had as much variety as we could ever want. It was fun choosing the ones to pack. Not only were they local, but they were as tasty as they were beautiful! In packing, we were shocked to discover that our luggage weighed the same as it had from Kandy. We had replaced all those books with gifts. Yikes! The next day, Abhijit brought his wife, Soma, and their beautiful daughter, Samadhi, for breakfast. We had a lovely visit and introduced them to Che's family. 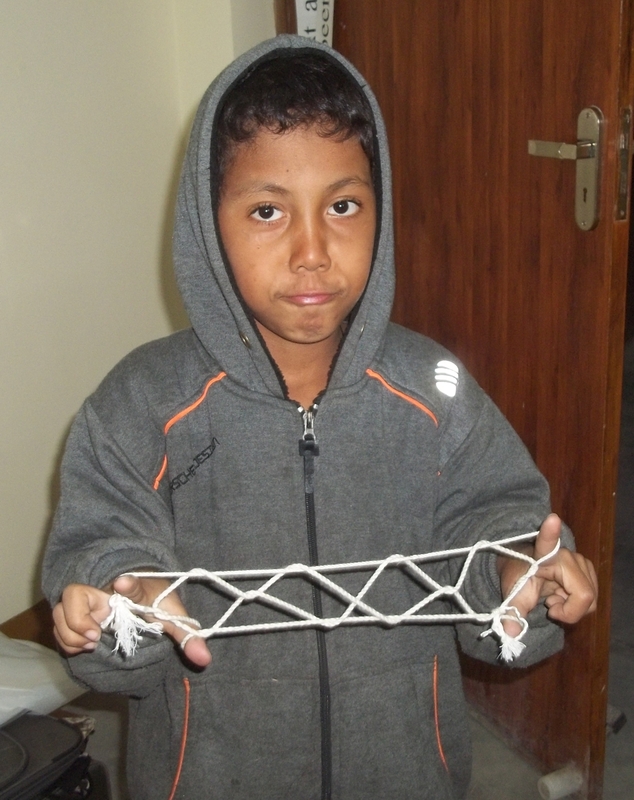 Abhijit invited them to a local festival which would take place on January 28, and they all became excited about the things they would do together in the future. We have since heard that the festival was a great success (Several of Che's kids won prizes in the contests. 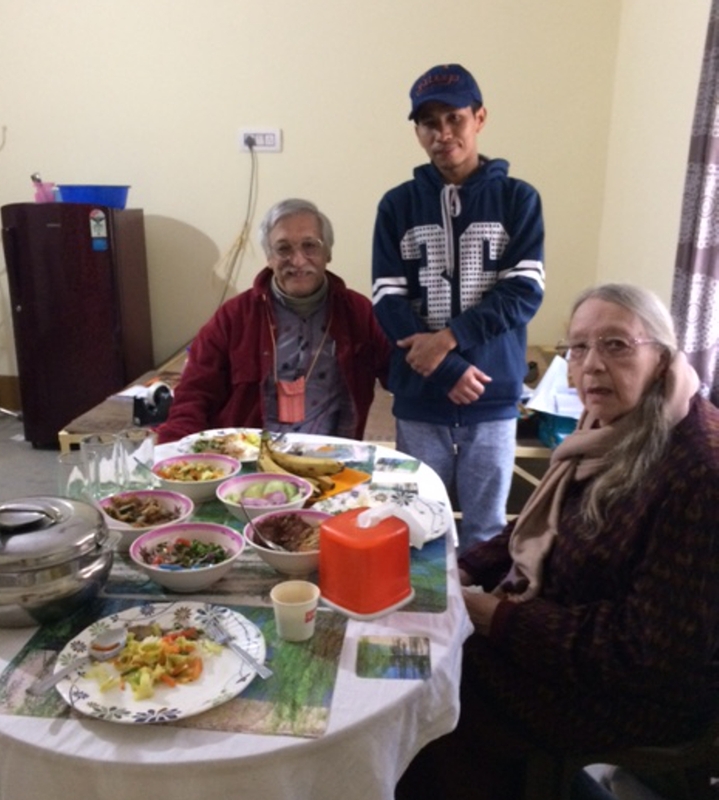 ), and Che wrote, "Abhijit's mother served us the very best Indian food I have ever eaten, hands down!" It's always hard to say goodbye, so we left promising to return in September. Ven. 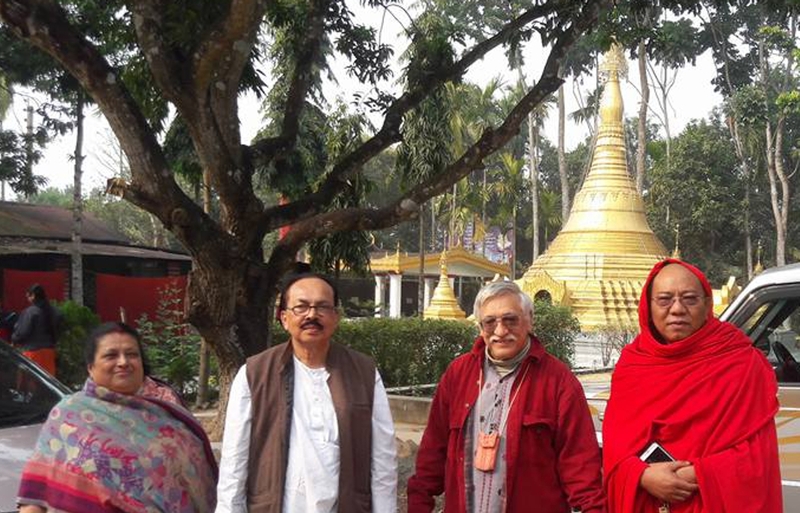 Pannasila has invited us, along with Che's family, to visit his monastery in Satnur. He wants to take us all on another tour of Maharashtra, similar to the one we took in 2006. Ven. NandoBatha has never been to Sanchi, so that is also in the works. We will have to arrange it around the Bodhisukha vacation schedule, which is not yet fixed, so we will see. Another wow! The success we felt teaching from our materials has encouraged us to think seriously about making all of them available. We wonder whether there really would be a market large enough to warrant publishing. An alternative would be to post everything--Merit, Step by Step, Activities and Logic Exercises for Buddhist ESL, and our collection of stories with exercises--on a website. That would make it freely available to anyone who would be interested in using it, and we could ask for donations. How much response would this get? Our return schedule was very sensible. We could relax after breakfast and take a car, with our favorite driver, without hastle to the airport. We had not left from the Kolkata International Terminal since 2007, and we had a big surprise. It is huge, clean, and uncrowded! We could not believe the spaciousness. There are rows of seats between each set of check-in counters. Visakha sat while Ken looked for the Sri Lankan counter. It was not too far away, but an attendant informed us that it would not open for about one hour. Ken returned with that information and suggested waiting in the coffee shop in the middle of the terminal. 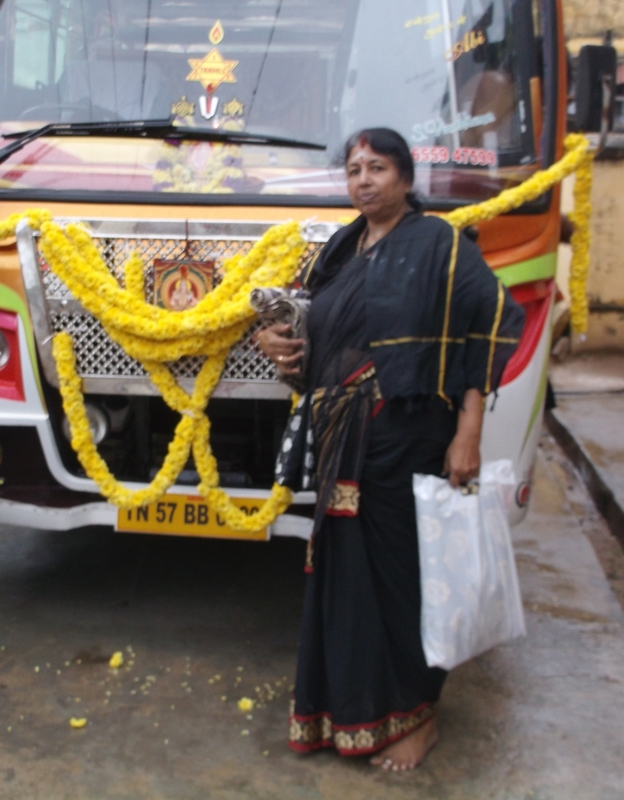 As soon as Visakha stood up, the same attendant hurried over and offered a wheelchair. He took us to the coffee shop and promised to retrieve us as soon as the Sri Lanka counter opened. The coffee shop was in a huge circle, surrounded by a wooden railing--tables along the perimeter and the counter in the center. Because there was no ramp, Visakha opted to sit outside, in her wheelchair parked beside the luggage cart. She didn't notice Ken placing the computer backpack against the railing before he ordered cappuccino. It was quiet, a restroom was nearby, and we were very comfortable reading our Kindles. After exactly one hour, the attendant returned and we accompanied him to the counter. "Do you have all your bags?" he asked, and we assured him that we did. He took us to the Business check-in and we stepped up. Once more, he queried us and Visakha said, "Your black bag is here." Ken looked around and said, "Wait a minute! Where are the computers? I've left them in the coffee shop!" He rushed back and found them untouched. When he returned to the check-in counter, the attendant smiled, "I was sure you had a backpack!" Boy, were we lucky! 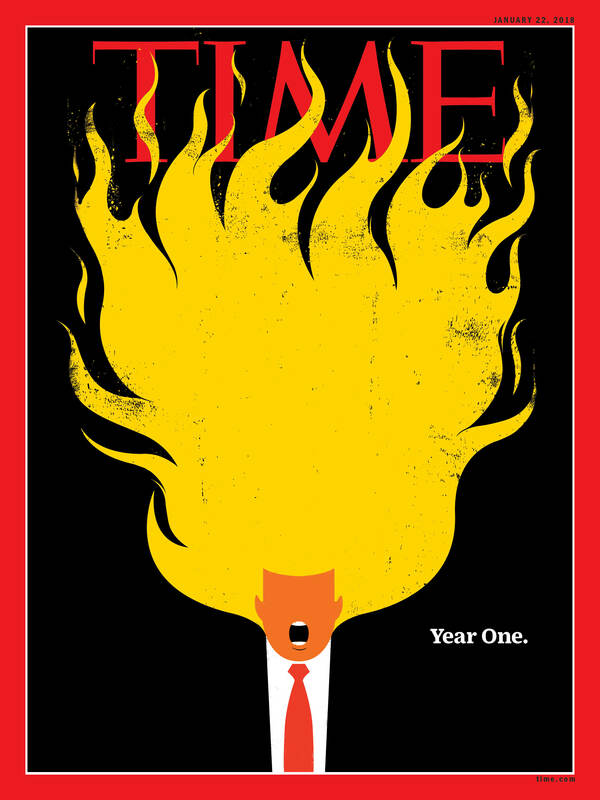 At the wonderful bookshop, we got some best sellers, a lavishly illustrated storybook of Bengali Folk Tales, and the latest Time Magazine with Drumpf on the cover. Our attendant took care of us until boarding. We learned that he commuted two hours from his village outside Kolkata. We were happy to tip him discreetly. The Kolkata Airport won the award for 'Best Improved Airport' in the Asia Pacific region in 2014, and we understand why! We were pleased to discover that Nezumi and Leo had reached an agreement of mutual tolerance, and to occasionally stalk each for fun. 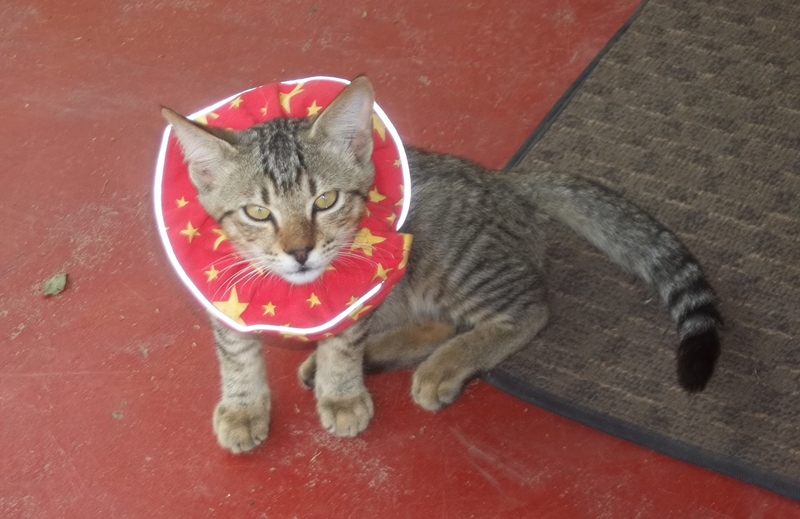 At least until he is neutered, however, we insist that he remain an "outdoor" cat. He has made himself very much at home, and he quickly learned how to get out of Lily's outdoor kitchen, even when the door is locked. He knows where Nezumi eats, and, almost every time someone comes in the front door, he darts between their legs and runs to the kitchen. Fortunately, he loves to be handled, so it is easy to pick him up and carry him back outside. Actually, he is very cute and loves to sit in a lap to be petted. He doesn't mind wearing a Birdsbesafe collar, although at this point his main prey is the odd butterfly which easily eludes him. Nezumi feels that this is too much about Leo! One night, while we were talking with Dushy at the dining table and enjoying those special Bengali sweets, we heard a horrific crash and the sound of shattering glass. 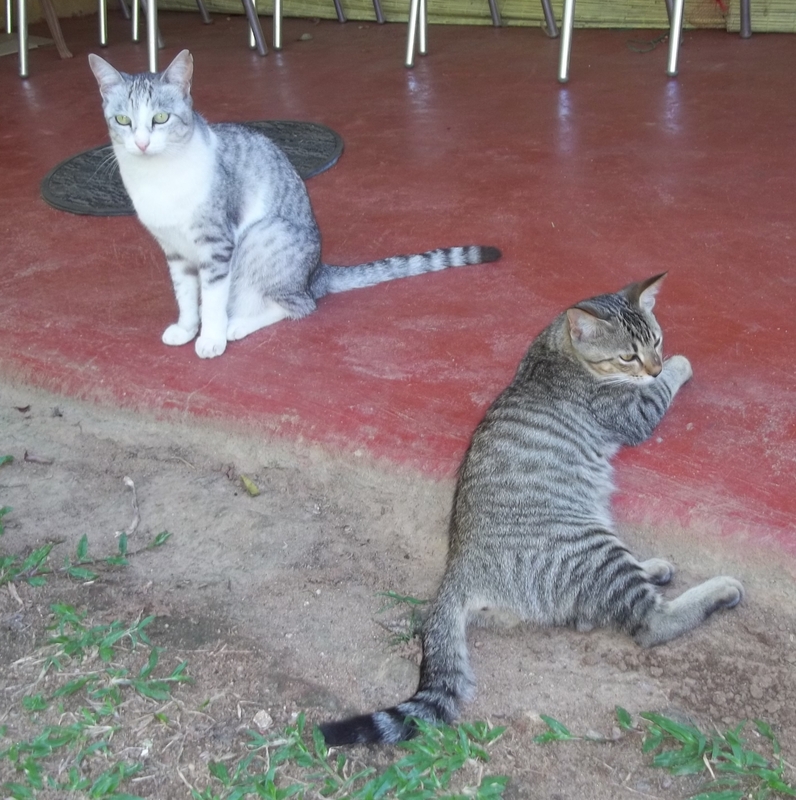 A few seconds later, Leo raced from the courtyard and darted across the floor toward the kitchen. "How'd he get in here?" we asked each other. We were mystified because Ken was sure that he had just fed Leo in the outdoor kitchen. He put Leo out the front door and, returning, saw that the framed Burmese painting of Vessantara had fallen. In the midst of the glass shards he saw the short concrete nail that had come out of the wall. "Oh, the nail was too small," he explained to Visakha and Dushy, and cleaned up the glass. About half an hour later, Leo walked through the dining room again. "How did you get in?" we asked him, but he refused to answer, so we just put him out again. A little while later, Ken heard mewing in the hall and went to investigate. It sounded like Leo was on the roof over the courtyard, but that seemed natural, so Ken was not concerned. A few minutes later, the mewing became louder. Ken went into the courtyard again and looked up at the ceiling. On a rafter below the corrugated roofing there appeared a little furry head, and Leo jumped down to the ledge of the window of the office bathroom, directly above where the painting had been hanging. Mystery solved! Leo had jumped down from there, and landed on the painting, pulling the nail from the wall. We realized that just putting him out was not enough. Ken locked him overnight in the cat carrier in the outdoor kitchen. The next morning, Edmond inserted pieces of plywood to block the corrugation, but Leo was determined. He found a hole big enough to squeeze through, but that was not close enough to the ledge for him to jump down. Lily made a noise, and he scrambled back onto the roof. He has not tried again, so it seems that he is pretty smart. Lily's pilgrimage to Kerala, which began on January 8th, required 41 days of preparation or austerities. Preparations started when she put on a special mala and took a vow to observe a strict lacto-vegetarian diet (She could not even cook eggs. ), to control anger, and not to cut hair or nails. She and her companions promised at all times to be helpful and kind and to treat everyone and everything around them holy, as Lord Ayyappa. She wore no shoes, only plain black saris, and she refrained from using an umbrella. After the pilgrimage, she cut her hair as an offering, and donated it to be made into wigs for cancer patients. The pilgrimage to Sabarimala, the most famous Hindu site in Kerala, is one of the largest annual pilgrimages in the world with an estimated 45-50 million devotees visiting every year. The temple, dedicated to Lord Ayyappa, is located about 150 km from Kochi and 170 km from Trivandrum in the midst of 18 hills, at an altitude of about 3000 feet. 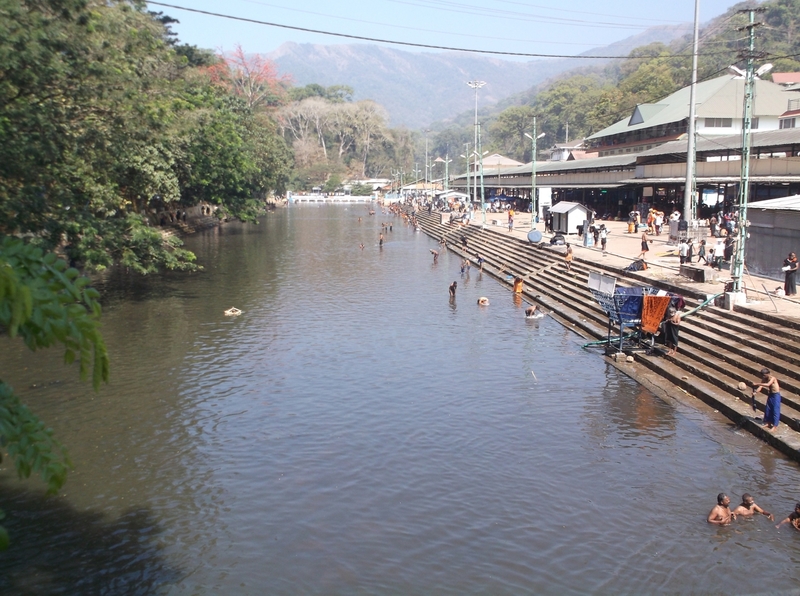 Not using soap and oil while bathing in the Pamba River and not throwing any material, such as clothes, in the water. Preparing the offering (irumudikkettu) without using plastic or other non-bio-degradable materials. Devoting at least one hour of the pilgrimage to cleaning the temple compound, the river, or the surrounding area. 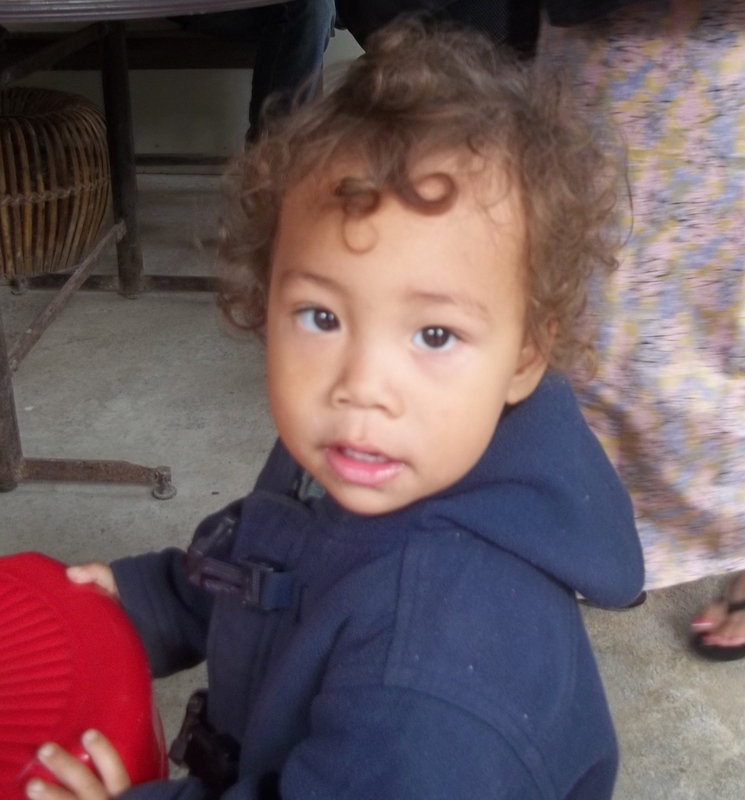 When Lily returned to Kandy a few days after us, she was running a fever, feeling achy, and had no voice. Evidently there's a lot of that around these days, but nothing compared to the US flu epidemic. We ourselves were fortunate to be so well looked after in Bodhisukha and to have avoided even a sniffle, despite the cold weather. As of this writing, Lily has fully recovered, and is cooking up a storm for us and our visitors. 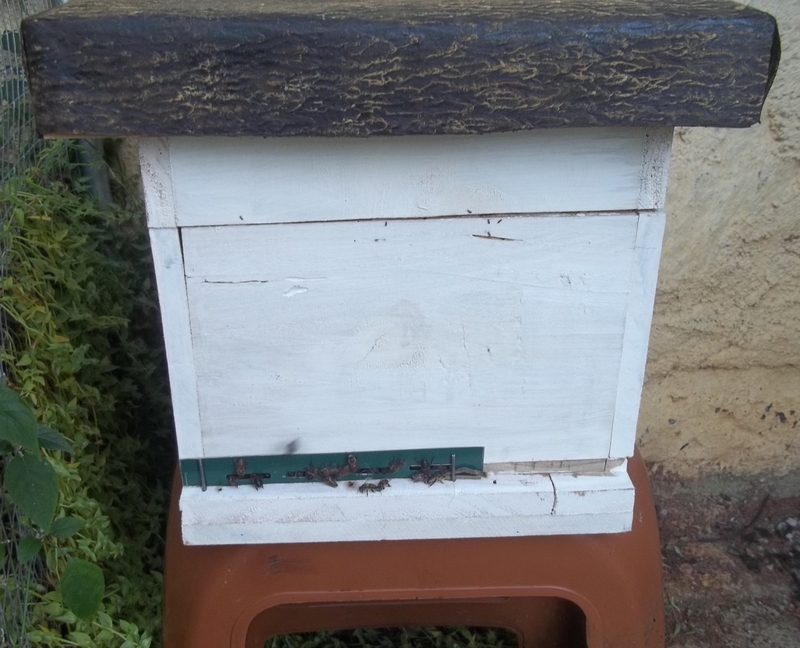 Soon she will be taking Leo for his surgery, and she's also undertaken the management of two hives of bees, delivered on Feb 2nd . Busy! Click to see photos of the workshop.. Through Ven. Lekdron, we have recently become involved in two very exciting programs. 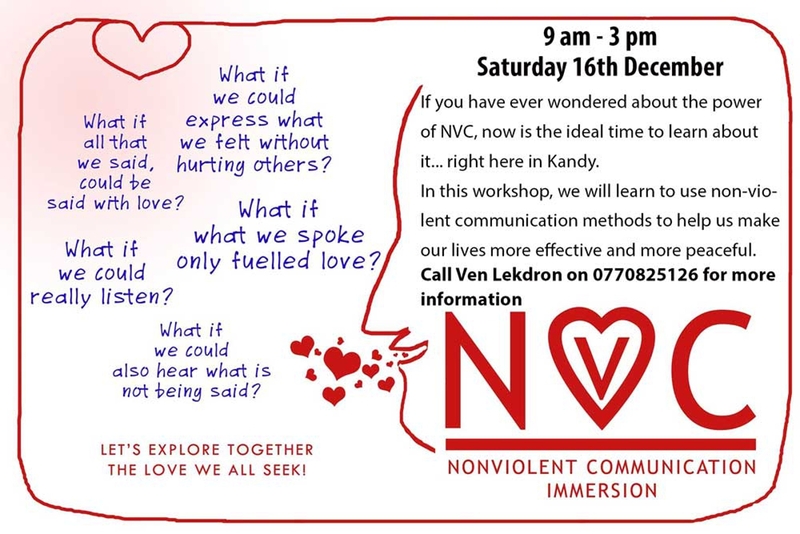 The first is Nonviolent Communication (NVC). 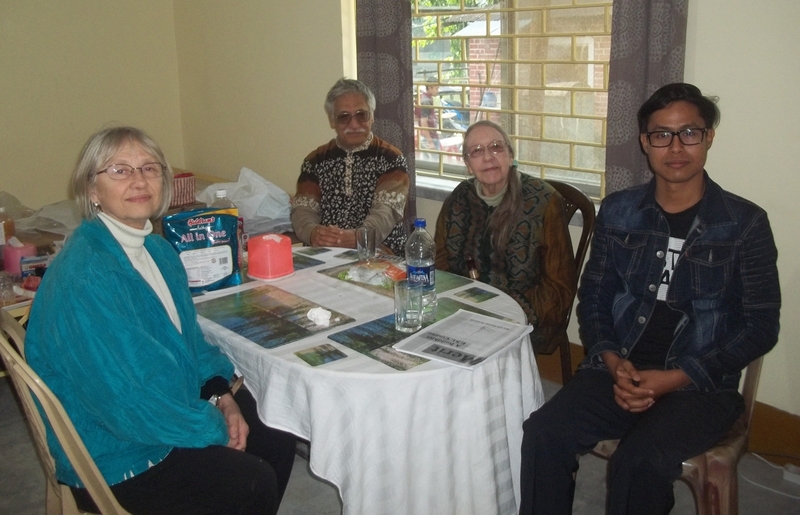 A preliminary workshop was held at our house on December 16, with about 15 participants. A two-day workshop is scheduled for February 17-18. Ven. Lekdron herself will present an introduction to NVC at a meeting of the Sri Lanka Association of Graduate Women Kandy (SLAGWK), formerly Sri Lanka Federation of University Women--Kandy (SLFUW-K), on February 15. The second project involves prison volunteer work, which we have wanted to get into since we first came to Sri Lanka. You may remember that we were chaplain consultants for Buddhism for the Department of Corrections in Michigan and some of our most inspiring correspondents and friends are inmates or former inmates. Ven. Lekdron introduced us to Nandana, a guest researcher in the Department of Sociology at the Universtiy of Peradeniya. He invited us to join a Full-moon day spiritual program, which included Ven. 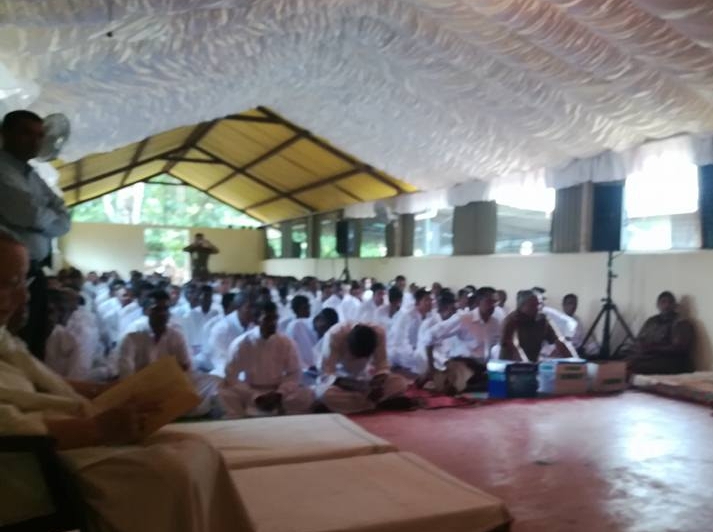 Lekdron leading the recitation of the Golden Light Sutra in Sinhalese at Pallekelle Open Prison. It was a joyous occasion with about 200 inmates attending. That beginning encourages us in hopes we will be able to be usefully involved in other programs there in future..
Nandana is the chief editor of this journal which is published by the University of Peradeniya. The Pallekelle Open Prison is an amazing institution. Believe it or not, there are neither walls nor fences enclosing the area. We drove through a gate, but we were not stopped, nor did we have to show any identification. There was no barbed wire and nowhere did we see so much as a pistol. It feels like a park or a university campus, with traditional Sri Lankan brick and mortar houses with tiled roofs. On the way to the hall for the ceremony we drove over rolling hills, passing flower gardens, vegetable fields, smiling workers, police identified only by their uniforms, and a pen where deer, rabbits, goats, and chickens were grazing peacefully. To reach the hall, we joined two hundred men dressed in formal white religious garb as they walked in two rows, the first thirty carrying Buddhist banners, followed by others with offerings, and all chanting "Sadhu! Sadhu!! Sadhu!!!" It was a solemn and dignified procession. The prison was opened in 1950 and has been in operation ever since. It is remarkable that this institution as survived so many upheavals in Sri Lankan society. Convicts from other prisons who have demonstrated good behavior are allowed to come here during the last five years of their sentence. 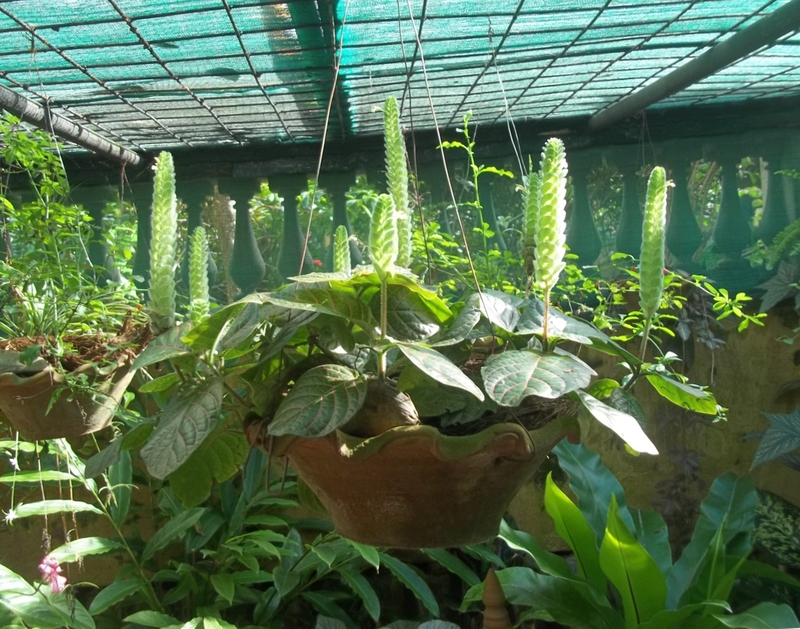 The inmates cultivate the crops, tend the medicinal and flower gardens, take care of the animals, and manage many of the other "jobs" in the prison complex. There are several vocational training programs, including plumbing and electricity. We are hoping that an ESL component will soon be added. There are a Buddhist vihara, a Hindu temple, a Muslim mosque, and a Christian church. After the sutra chanting, we were served a delicious lunch in the dining room of the very comfortable and well-appointed "resort bungalow" (which can be booked by anyone for an overnight stay), consisting entirely of vegetables grown in the prison fields, and we were shown that the inmates received the same dishes. We have been surprised to discover that there is no website describing this institution, which seems to be a well-kept secret, rather than the showcase for the world that it deserves to be. 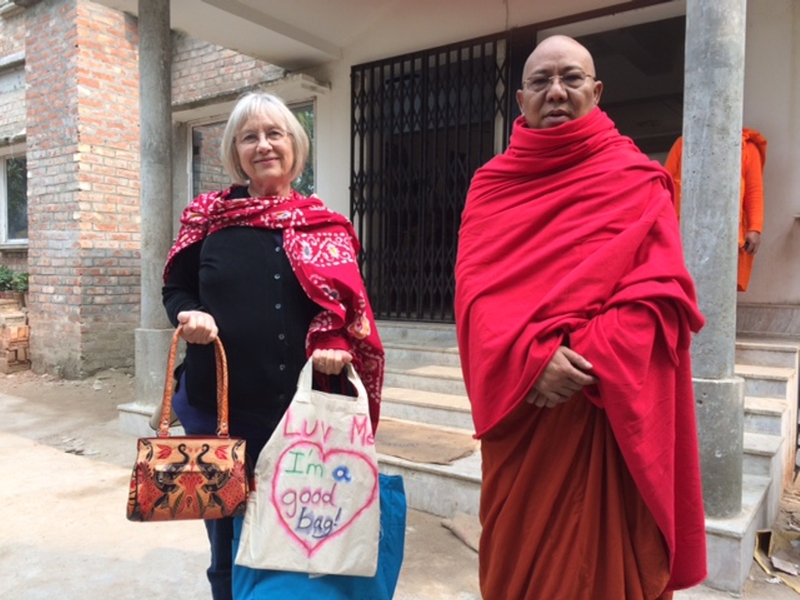 On November 21, Buddhist Relief Mission, represented by Ken and Visakha Kawasaki and Patricia Melander, accompanied by Ashoka and Nathan, served tea and snacks at the Kandy Cancer Home, with cutlets prepared by Lily. Dushy donated toward this offering in order to share merit with Swarnalatha Mendis, Indrani Seneviratne, and her American host mother, Marilyn Osborne; all three of whom have passed away. We also shared merit with the mother of Ven. Dharmananda Mahaprabu of Detroit, who is in the hospital recovering from a stroke. May she quickly regain her strength! Clicik the photo to open a PDF file with photos of the event. 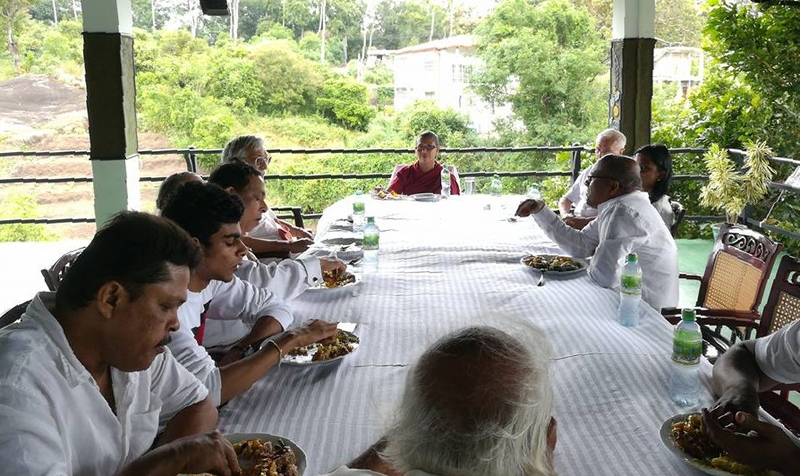 On November 14, 2017, Buddhist Relief Mission visited Bodhirukarama in Kurunegala to offer Ven. Amilasiri a check for the balance of the donations for the land for the new monastery for elderly monks. 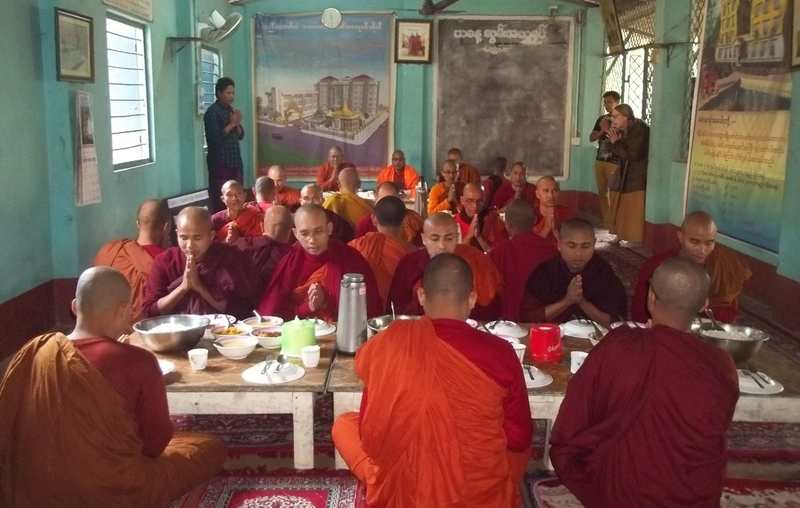 We also offered lunch to all resident monks and novices. The new land is in Avissavella, near Colombo, near the Kelani River. Construction of the new ward has already begun. The new ward is being paid for by one donor, but additional funds will be needed to construct and furnish adjacent buildings, such as a kitchen, and an image hall. Click the photo to open a PDF file with photos of the event. 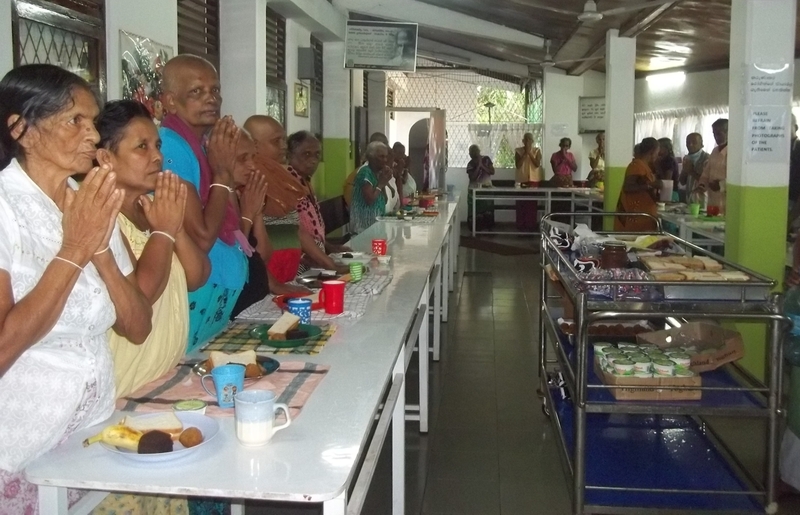 Several donors have sponsored dana at Bodhirukarama for their birthdays. We will be visting there on February 25 for one of them. 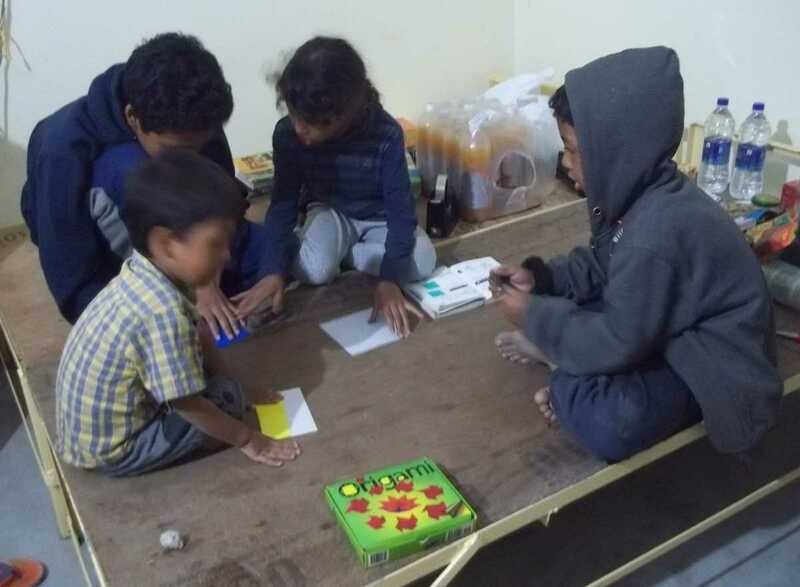 Judith conducted an art project in Bbangalore. For those who have read this far and know us, the question must have arisen, "How can they ignore all that's going on in the world, politically, genocidally, and environmentally, and just natter on about what they've been doing?" Actually, we are informed! We follow the news, and, unlike some recent visitors who assured us, "Everything is going to be alright because America's institutions are strong and enduring," we're not so naive, and we don't indulge in magical thinking. Everything that was right and good about the United States is being destroyed. The orange buffoon is winning, and his unprincipled, fascist, and racist lackeys are dismantling everything that should protect us from destruction. One of the most powerful descriptions of this phenomenon is "Why We're Underestimating American Collapse: The Strange New Pathologies of the World's First Rich Failed State." Where does all that agression come from? Greed, hatred, and delusion make the world go round, of course, from which arise our notions of self, gender, tribe, faith, and nation. After doing research on aggression and violence for over 30 years I have come to the conclusion that the most harmful belief people can have is the belief that they are superior to others (e.g., their religion, race or ethnicity, gender or gender identity, sexual orientation, political party or ideology, school, city, state, country, etc. is best). When people believe they are superior to others, they behave very badly. --Brad J. Bushman, Narcissism, Fame Seeking, and Mass Shootings, in "American Behavioral Scientist"
Surveying the world today we see a convergence of anti-immigration, rising nationalism (white, Bama, Hindutva), racism, and casteism. Those tides can only be opposed by truth-telling, education, critical thinking, and unified, cooperative resistance. Great respect to those who stand up for the oppressed, welcome refugees, speak up for the voiceless, and risk comfort and even life to defend our right to know the truth and to escape from the bubble. Will it be enough? It's impossible to say how long we've got. Those poor folks in Hawaii were scared out of their wits on January 13 by an alert of a nuclear missile headed their way. It could have been real, and then where would we be? We recently watched An Inconvenient Sequel. Kudos to Al Gore and all the others who are trying to educate and to inspire us to change our ways before its too late. Kudos, too, to Bangladesh, poor and overcrowded though you are. You have accepted more than a million Rohingya refugees, while much of wealthy, privileged Europe has turned refugees away by the thousands, to drown or be trafficked, to do anything but to resettle within their borders! The refugee crisis is not about refugees, rather, it is about us. Our prioritisation of financial gain over people's struggle for the necessities of life is the primary cause of much of this crisis. The west has all but abandoned its belief in humanity and support for the precious ideals contained in declarations on universal human rights. It has sacrificed these ideals for short-sighted cowardice and greed. Establishing the understanding that we all belong to one humanity is the most essential step for how we might continue to coexist on this sphere we call Earth. I know what it feels like to be a refugee and to experience the dehumanisation that comes with displacement from home and country. There are many borders to dismantle, but the most important are the ones within our own hearts and minds--these are the borders that are dividing humanity from itself. Chinese New Year 2018 is Friday, February 16. Click on the photo to view a New Year's Card. 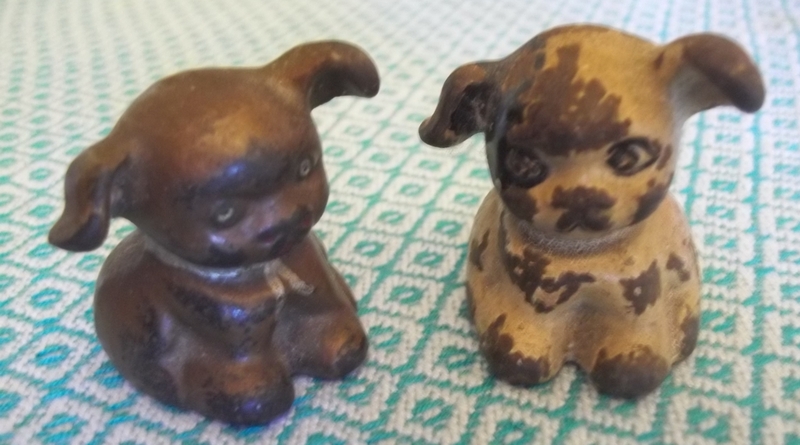 These little dogs were childhood toys of Visakha's mother. They are at least 100 years old and, perhaps, from Ireland.